Hi and welcome to a new monthly wrapup! September has been a pretty blessed book month. There were so many great book releases, among which were some of my most anticipated books. 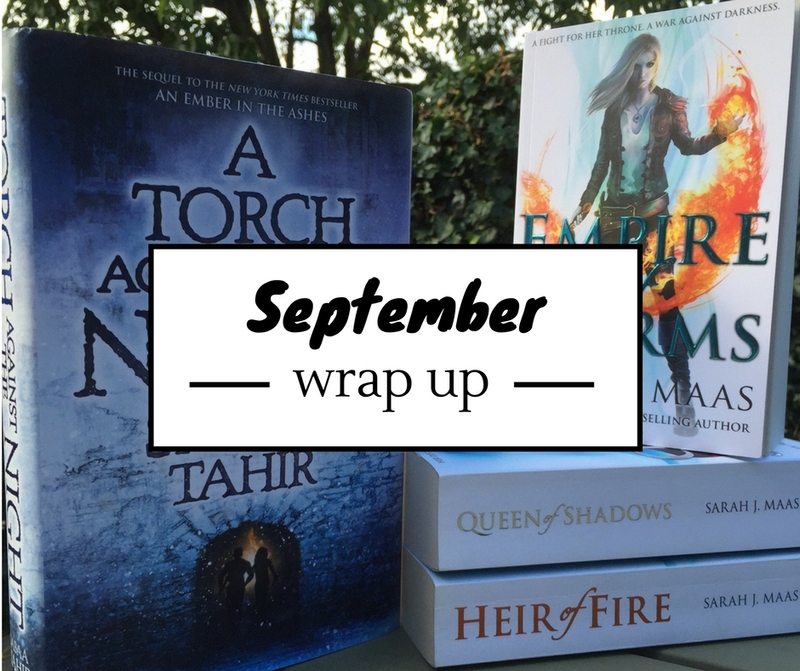 I started of the month with the rest of my Throne of Glass series re-read in anticipation of Empire of Storms. 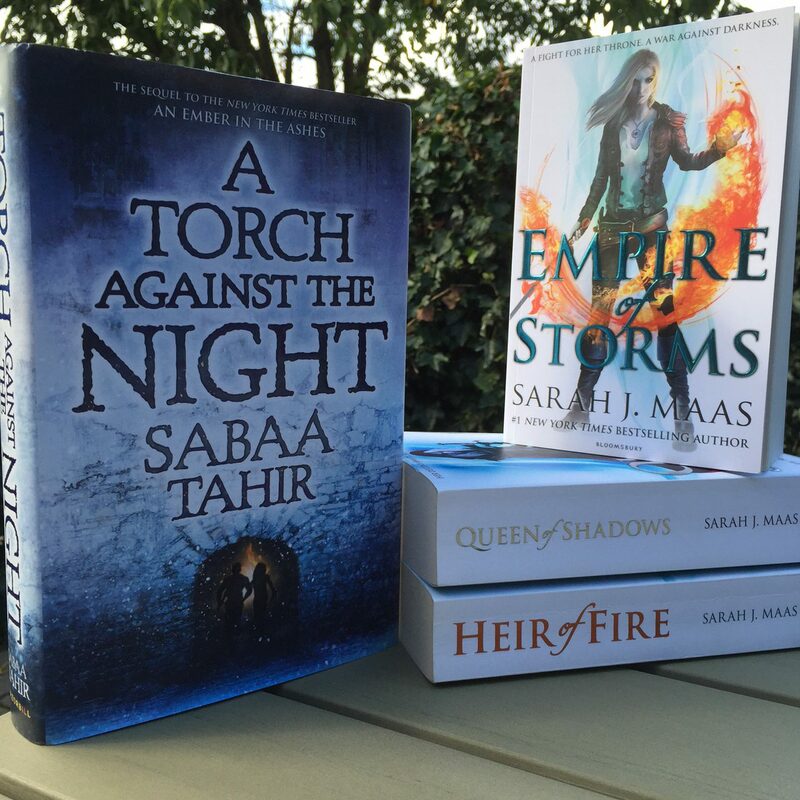 And then there was Empire of Storms itself – FINALLY! And then… the Sarah J. Maas book hangover. Now, the funny thing is, my book hangover took a completely different turn than it usually does. Normally I would just re-read the Sarah J. Maas book in question for weeks and not read anything else. This time, however, I went on a book-reading binge. Not fantasy, because I was not in the mood for fantasy for weeks after Empire of Storms. But a contemporary romance binge. I read some YA and new adult contemporaries and I LOVED it. I’m back to my fantasy in the meantime, but I’m also kinda still in the mood for contemporary romance. So hey, why not? I’ll just keep reading whatever my mood tells me to read! Honestly, not much. I’m still on my Gilmore Girls marathon, but things have slowed down a lot. I WANT to start watching so many shows though (Stranger Things is just one of them) and the new tv season is about to start, so here’s hoping I’ll get some quality couch-time in soon! Since I LOVE Halloween AND I’m trying to expand my reading horizons, I’ll be participating in the Halloween Readathon hosted by Lauren @ Wonderless Reviews. The goal is to read some thrillers, horror or paranormal books and complete some challenges between October 10th and October 31st. I’ll put my TBR for this in a separate post. Other than that I’m leaving my TBR open for now as I just want to follow my bookish mood swings wherever they may take me! Yay, another Gilmore Girls fan 😉 It’s my go-to show to watch when I want to laugh or be instantly cheered up! Though it’s been a while since I binge-watched ALL the seasons, but the revival has me so excited so now’s the perfect time! Every month I’m like “I should start Throne of Glass” but never have ? hopefully I will soon!! I need to read An Ember in the Ashes too. I love your Spotify playlist! So many good bands. Ah, I know the feeling with so many other books 😉 So many books out there and so little time! But I do hope you’ll enjoy them when you get to them. Seems like a lot of book bloggers love Halloween, haha. Can’t say I love it either way, seeing as I’ve never actually participated in one before. Hopefully one day! There’s no age limits to trick or treating right? Right?? I’m personally not a big fan of horror. Though I’ve recently been reading Lockwood & Co. But that’s not really terrifying.